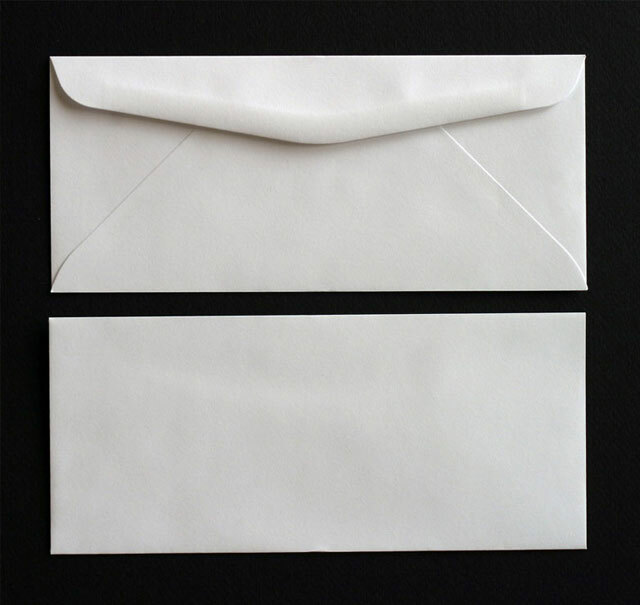 Envelopes available with 1 color or 2 color printing. With security tints and Window Envelopes. Choose from a wide selection of color paper stocks for these Commercial Envelopes. No. 14, Size: 5 "x11-1/2"
No. 6-1/4, Size: 3-1/2"x6", Window: 1-1/8"x4-1/2", Position from Left: 7/8", Position from bottom: 1/2"
No. 6-3/4, Size: 3-5/8"x6-1/2", Window: 1-1/8"x4-1/2", Position from Left: 7/8", Position from bottom: 1/2"
No. 7, Size: 3-3/4"x6-3/4", Window: 1-1/8"x4-1/2", Position from Left: 7/8", Position from bottom: 1/2"
No. 7-3/4, Size: 3-7/8"x7-1/2", Window: 1-1/8"x4-1/2", Position from Left: 7/8", Position from bottom: 1/2"
No. 8-5/8, Size: 3-5/8"x8-5/8", Window: 1"x4", Position from Left: 1 ", Position from bottom: 3/4"
No. 9, Size: 3-7/8"x8-7/8", Window: 1-1/8"x4-1/2", Position from Left: 7/8 ", Position from bottom: 1/2"
No. 10, Size: 4-1/8"x9-1/2", Window: 1-1/8"x4-1/2", Position from Left: 7/8 ", Position from bottom: 1/2"
No. 11, Size: 4-1/2"x10-3/8", Window: 1-1/8"x4-1/2", Position from Left: 7/8 ", Position from bottom: 1/2"
No. 12, Size: 4-3/4"x11", Window: 1-1/8"x4-1/2", Position from Left: 7/8 ", Position from bottom: 1/2"
No. 14, Size: 5 "x11-1/2", Window: 1-1/8"x4-1/2", Position from Left: 7/8 ", Position from bottom: 1/2"